This is a sample letter to the editor on family separation at the border. Feel free to use it to help you craft your own. These are helpful talking points about family detention prepared by the National Domestic Workers Alliance that you can use to build your letter. We’ve compiled a list of organizations providing direct legal and supportive services for immigrants in Texas, as well as Texas-based organizations working on the border. Just outside Austin in Taylor, TX, the Hutto Detention Center is the only all women’s facility in the country for asylum-seekers. Over 500 women are imprisoned there every day, locked up after escaping from violent gangs, domestic abusers, and others’ hatred & prejudice at their sexual identity or ethnicity. Many of the moms who crossed over recently seeking safety, their children cruelly stolen, were sent here. Here is a sample script and resources to make calls to the House. The situation is not resolved and pointing to the House’s disorganization is not leadership. The quickest way to resolve this situation is to demand President Trump end the zero-tolerance policy. As you know, your proposal [for both Cornyn/Cruz] has already met resistance. Children and families looking for help cannot be your bargaining chip. The President has already complicated the matter by telling Congress to give up on immigration reform–and while he won’t admit it, he can resolve this crisis as quickly as he started. The executive order released last week does not remove the zero tolerance policy and would lead to jailing of immigrant families. That is unacceptable. Family jails is not the answer and I want you to oppose any efforts in the Senate that would create them–but I also urge you stand up to the President’s reckless actions and demand. Sometimes, it can be easy to lose sight that there are those in Congress who want to work with us instead of against. We thank Representative Lloyd Doggett for the amendment he plans to offer this week to keep federal funds from going to baby jails, one example of many he has taken to try to address the current border crisis. 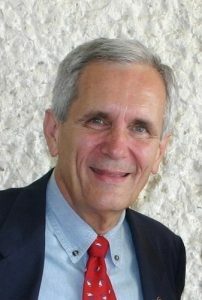 “Representative Doggett is the only congressperson from the Austin area who has demonstrated real compassion throughout this fight, as the rest of our so-called representatives meekly follow the administration and bow down to bigotry. While those who support immigrants—and basic human decency—are currently in the minority in Congress, it is important that we all support, and work with, those trying to do good and put them in the majority this November. That is our only hope to stop President Trump’s relentless attacks on families seeking a better life in America. Rally help needed: click to donate toward costs; click to volunteer at the event. Louboutina the Golden Retriever isn’t just “a dog of the streets of New York City” who wants to hug everyone; she’s also Cesar Fernandez-Chavez’s family. The last few weeks have been extraordinary in both good and ways, but let’s be honest, mostly bad. We’ve all been horrified seeing our government tear children from their parent’s arms and put them in cages. It’s been heartening to see Americans cry out with enough ferocity that even Trump felt the need make a show of pretending to relent. However, if you’re reading this far down in the email, you’re smart enough to know that THIS ISN’T OVER. That’s why Indivisible Austin has joined more than 20 organizations hosting the Families Belong Together and FREE Rally this Saturday at the Capitol. We are expecting THOUSANDS of Texans to join us for a moving day in support of children, refugees, asylees, families separated by Trump’s terrible policies, and more. Can you help with a donation of any size to help the organizations hosting this event to cover costs?